Kanazawa Guest House, run by Castle Inn Kanazawa, is ideally located only 3 min walk from JR Kanazawa Station. Guestrooms with en-suite bathrooms are offered at incredible prices. The guest house shares public facilities, such as PC room, large bath and dining hall, with Castle Inn Kanazawa, a very nice Japanese hotel. 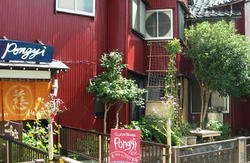 If you are planning on a long and comfortable stay at low cost, Kanazawa Guest House is your choice. Our guest house is becoming more and more popular among students, business people and travelers. We have a guest kitchen with a refrigerator and cooking and eating utensils, where our guests can cook for themselves and make friends with one another. Our dining room, also called common room, is the best place for travelers to communicate, and enjoy one another's company. We have a large public bath, where everybody can enjoy a very relaxing time. Our guests are from all over the world. You might be able to learn a few words from friends who speak different languages, or learn something about a different culture. You will find your stay a very exciting experience. We can keep luggage after your check-out. 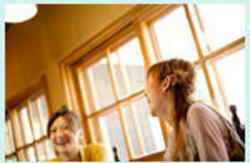 .Breakfast is buffet style, including local home-style dishes and western-style dishes, altogether 25 dishes, at 1000yen. .Tourist information available at the front desk. .There are coin-operated laundry machines right outside the hotel. Get out the east exit of Kanazawa Station, and walk east on Higashi Odori street for 3 minutes to Castle Inn Kanazawa. The guest house is inside Castle Inn Kanazawa. Fly to Komatsu Airport, take the limousine bus bound for JR Kanazawa Station, and then follow the above directions to walk from JR Kanazawa Station to our guest house. The bus fare is around 1150yen. It takes 40 min to go from the airport to Kanazawa Station.